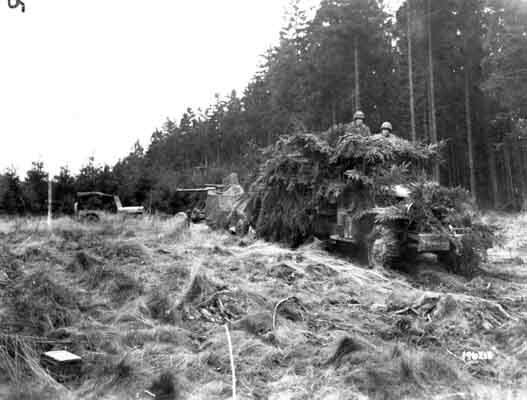 An American anti-aircraft gun, towed by a truck camouflaged with foliage, moves into position in the Hürtgen Forest to provide fire support against ground targets. November 6, 1944. US Army Signal Corps photograph taken by C A Corrado.